A glass fusion studio – dubbed studio8.glass – that recently opened within the Glassworks at Dockyard is offering a unique way for locals and visitors to learn glass fusion and make artistic glass pieces. A spokesperson said, “The business was set up in 2015. It started off in a small room in a warehouse offering weekend classes to locals. “We built it and opened it in May 2016, now offering classes to both tourists and locals alike. 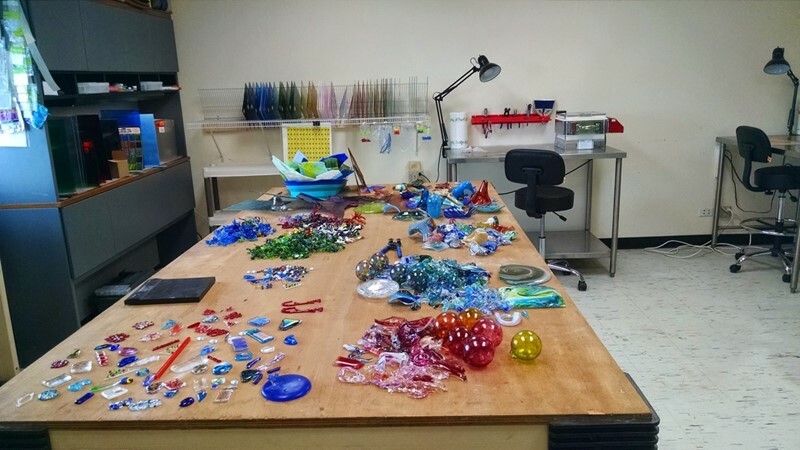 “studio8.glass is a glass fusion studio, where we create glass pieces [earrings, suncatchers, pendants, etc], and fire them in the kiln. “This is a unique take on regular glass fusion, where sheet glass is usually the only form of glass used. 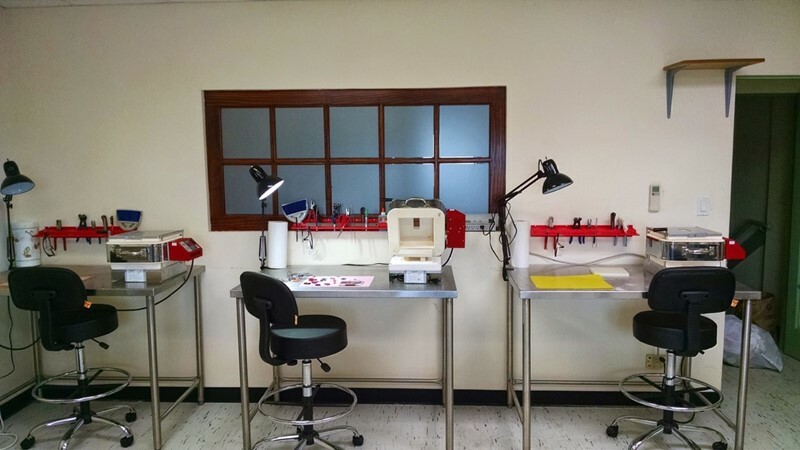 “We offer a variety of class options, from making just one pendant, to a full class where guests can create a variety of different pieces and learn different techniques. For more information, visit the Facebook page or website. This is wonderful. Would definitely like to join a class. If it was cheaper. Nothing is “cheaper” ever in Bermuda. I am the operator of the studio, and yes, it may be on the pricier side of activities in Bermuda, however you get a lot for your money here. At the end of the class you walk away with several professional looking pieces, handmade by you, to keep or give away as gifts. People in the locals class generally make up 8 – 12 pieces, some are finished, hung and ready to wear out the door once cooled. We have a lot of glass and professional equipment available for students to use and expert instruction. For locals, you return a second time to a finishing class, this is where you drill the glass or glue bails on to hang them. Hope this helps explain where you get value for money. I just gave you an idea for free just now cheers. Do you have a number we can call please sounds like fun.